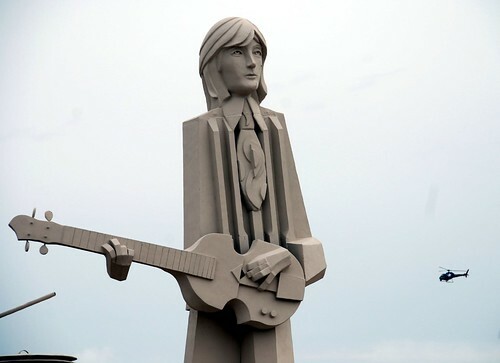 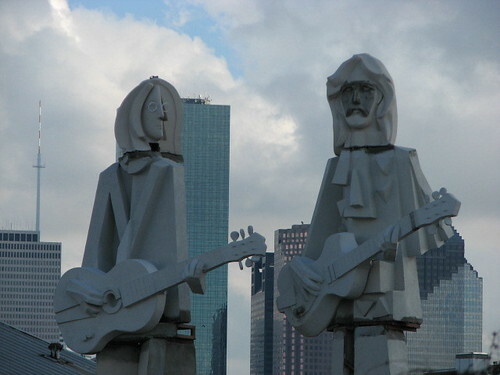 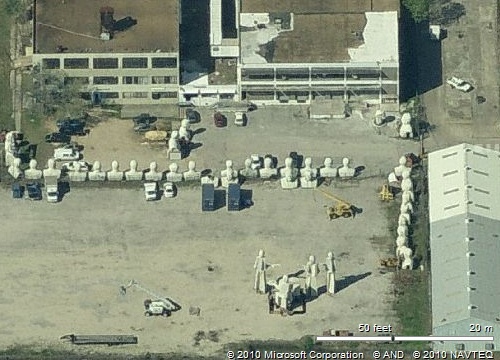 World's largest statues of Beatles were created in 2007 by the American sculptor David Adickes at his SculpturWorx Studio Houston, Texas, USA. 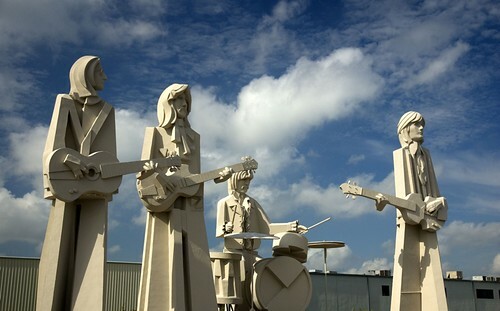 Made from white concrete on a steel armature the statues (except the sitting drummer - Ringo Starr) are 36 feet (11 metres) high and each weighs about 7,000 pounds (3175 kg). 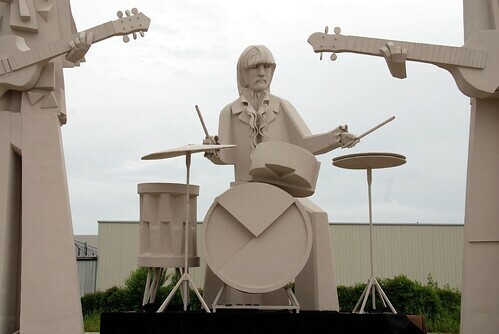 The sculptor David Adickes has also made 20 feet (6 metres) high busts of all the past 43 Presidents of United States of America and same also are housed in his Studio.